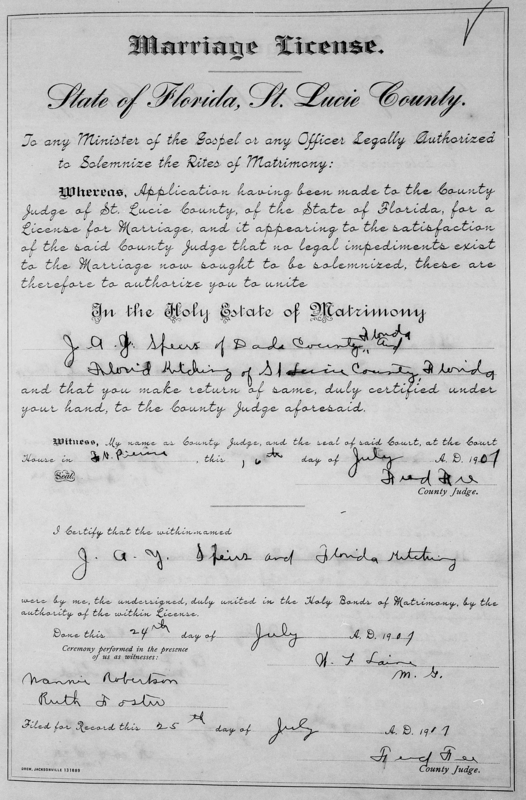 Using FamilySearch.org, there is a collection of index information on marriages performed in Florida. It covers from 1830 to 1993, plus as more recent dates are indexed and made digital those will be added. If you have not sign in (register) on the FamilySearch.org site do so – it is free. 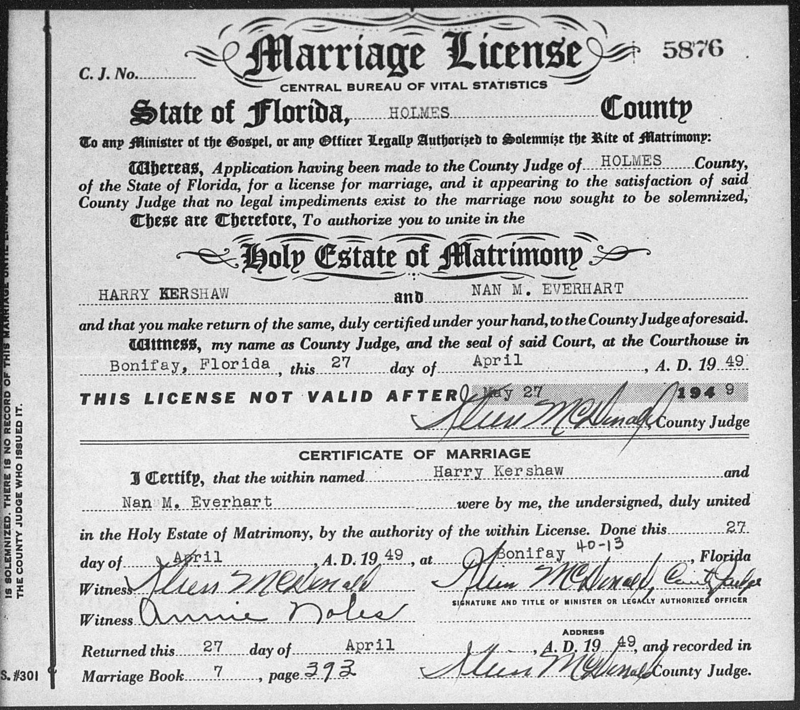 The records include licenses, marriage applications, marriage certificates, and marriage packets. The records are arranged by county, date, and record type. 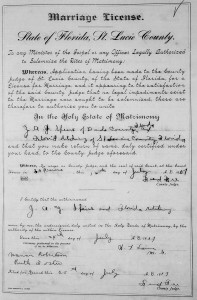 Because the marriage records were handled by each individual county, the information can vary. Since the records begin in 1830, when the area was only a territory, before Florida was a state, the population was very small and most concentrated in the northern portion, close to Georgia. In fact people who were living in Georgia would go to Florida to get married. 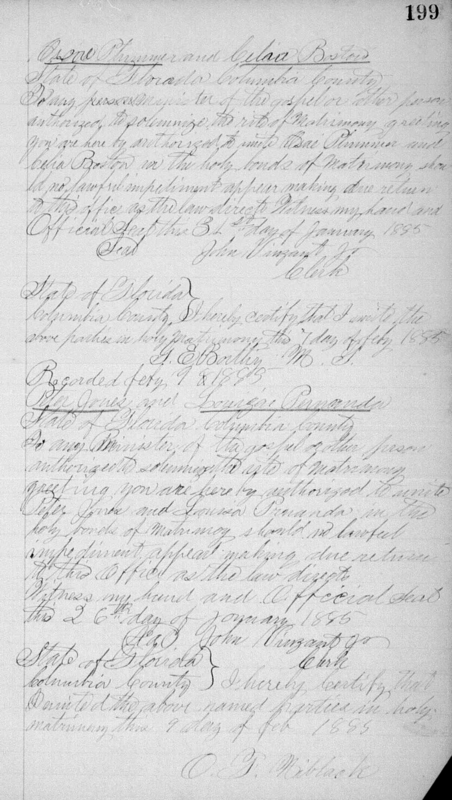 Some of the information found on these marriage records include both the groom and bride’s full names, their parents’ names, where they lived, their ages, names of witnesses along with where and when a wedding took place. Just like any older vital record, the information such as ages, are only as reliable as the person providing the information. There was no proof required. Also the spellings of given and surnames could have changed or may have been written incorrectly by the clerk. If you thought an ancestor married in a certain present-day known county, it might not have been the name a hundred years ago. Many new counties came into existed from larger landed counties, especially in the 1920s. 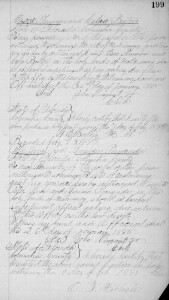 Besides the transcript of a record, there also be in most cases a digital image of the original document. If so, it will be to the right of a listing and click on ‘view document’. You can save the document to your computer. Check and see if there was a second page to the document. 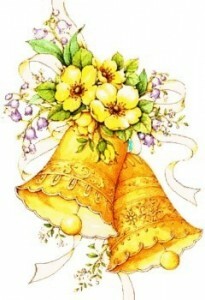 What is interesting to check, if it was placed on the document, is either the bride or groom married before. Also the names of the witnesses, sometimes it was close friends or relatives. You will be able to search using witnesses’ names or other names such as parents’ names on the certificates. If you don’t find a listing yet, try later, more are being added monthly. 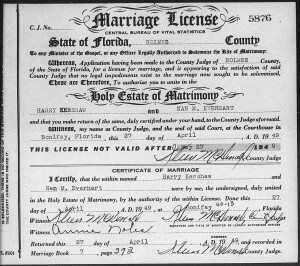 Photos: 1885, 1907 and 1949 marriage certificates in Florida.